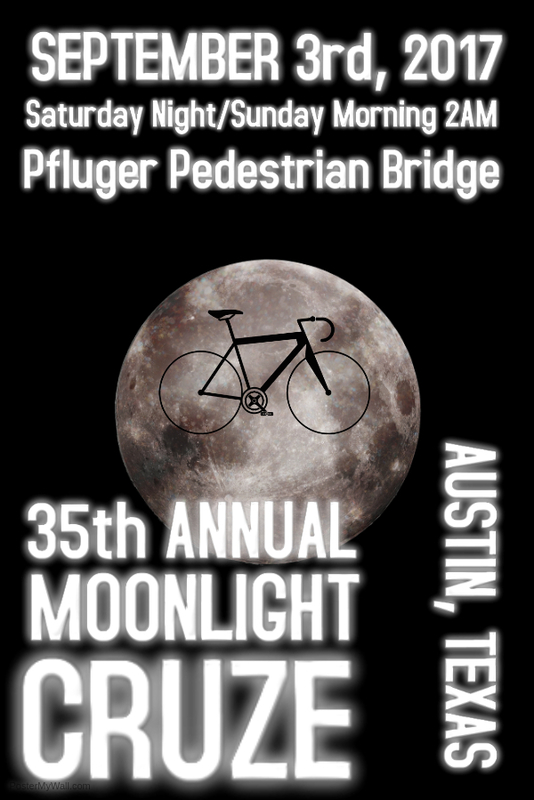 It's that time of year again, and the ride you've been waiting for is coming ... the 35th Annual Full Moon Cruze bike ride! This year, the ride will happen on Saturday night/Sunday morning, September 3rd, 2016. Assemble at about 1:30 am at the James D. Pfluger Bicycle and Pedestrian Bridge and we'll ride out at about 2:15 am to 2:30 am. The schedule for full moon rides can be found here.